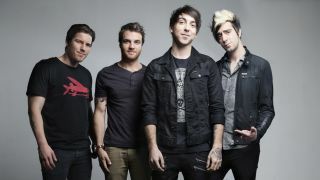 All Time Low, Devil You Know and Napalm Death lead a list of 14 bands added to the bill for this year’s Download festival. They’ll join headliners Rammstein, Black Sabbath and Iron Maiden at Donington Park on the weekend of June 10-12. Tickets are on sale now, with earlybird discount ending on February 19. Find out more at the festival website.